Only six or seven years after entering the world in 1981, my life-long interest in Astronomy was sparked after I stumbled across a double-page schematic of the Solar System in my mother's deluxe Reader's Digest world atlas. Not long afterwards, the Voyager 2 encounter with Neptune in 1989 was the first time I had experienced a major space event unfolding before my eyes. I can vividly recall scanning the newspaper every day, looking for any new pictures or articles I could add to my space scrapbook. I also kept an eagle eye on the evening TV news bulletins, hoping to record any reports on the flyby with my family's brand new VCR. For reasons that I still haven't quite managed to ascertain, my interest in manned spaceflight paled into comparison with my obsession for the planets and the spacecraft that measured and imaged them. However, a casual fascination with Apollo finally began to develop once I finally got regular access to the internet in the late 1990s. That casual and superficial interest only turned into something more significant after had I purchased and devoured the paperback edition of Andrew Chaikin's A Man on the Moon. Suddenly, the story of Apollo really came alive for me. Somewhere, somehow, a flame had been ignited by this wonderful tale of exploration and technological achievement. The astronauts came across as an eclectic collection of personalities, all with very human flaws and attributes that the reader could really relate to. Overall, that book left me hungry to learn more, and it was then that I discovered the Apollo Lunar Surface Journal. At that time, the conspiracy theories about Apollo and the moon landings were probably at their height in terms of popularity. This was no doubt due mostly to the scurrilous American Fox TV special that seemed to convince many members of the public of the 'reality' of the 'hoax'. I made a small contribution towards the effort to debunk many of the claims and arguments of the hoax proponents. 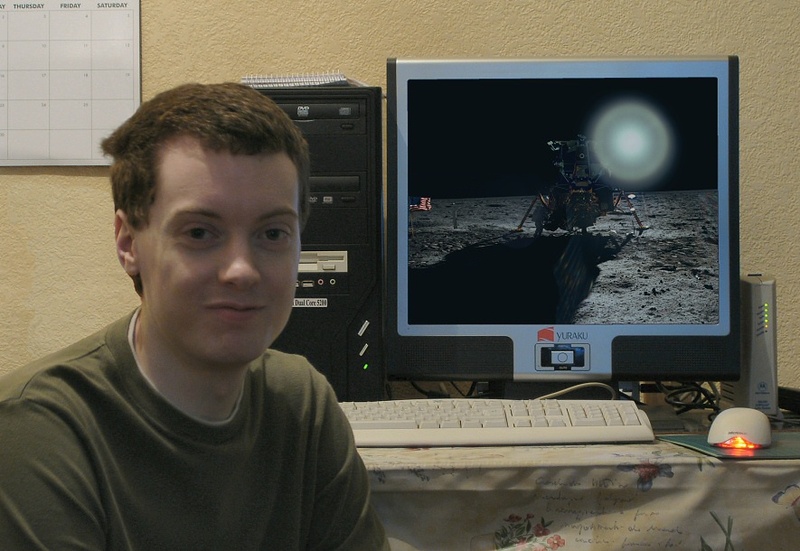 As a member of the forums at both the Bad Astronomy and ApolloHoax websites, I had the pleasure of encountering and meeting for the first time several other Apollo enthusiasts and Journal contributors. I think Eric and the team of contributors have done a magnificent job in detailing the adventures and exploits (both technological and human), of the first six visits to the lunar surface. Alongside its sister Apollo Flight Journal, the ALSJ is a living testament to a feat that Arthur C. Clarke once said may be the only achievement by which our age is remembered for, a thousand years into the future. Also, I must commend the altruistic sense of community that is engendered by crediting all contributors to the journal, no matter what their contribution may have been. The contributors are people originating from a wide spectrum of backgrounds. 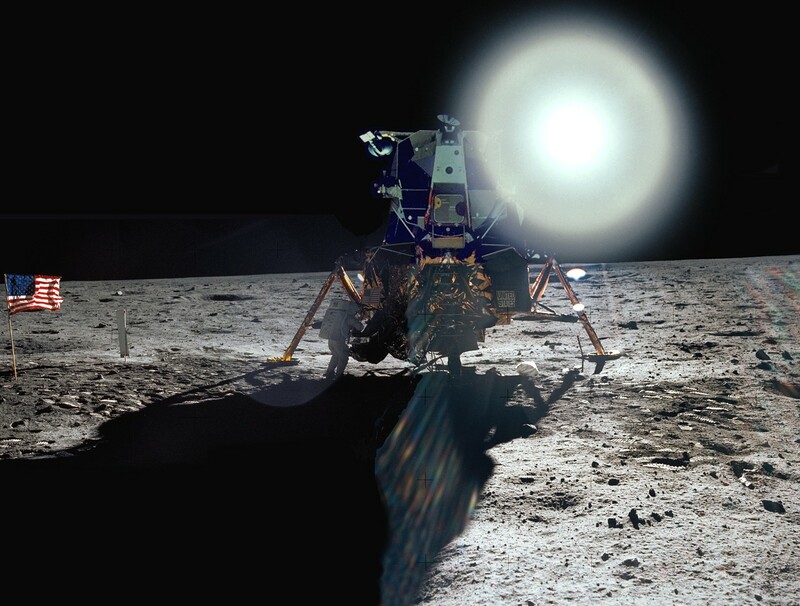 From the interested amateurs or laypeople, right up to the professional scientists and historians; all are made to feel a part of the effort to preserve the story of Apollo for future generations. I look forward to the day when this website will spawn its offspring - the Orion Lunar Surface Journal. May the spirit of Apollo continue with the new adventures of the Orion programme! This photograph was taken in March 2008. On the computer screen behind is my photographic tribute to Apollo 11 entitled: Armstrong and Eagle Under a Blazing Sun, which can be viewed here.